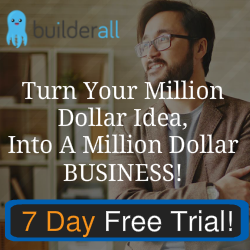 Internet Marketing Alpha: Build a Reputation as a Can’t Miss Marketer! When someone signs up to your list, you're not guaranteed to have them as a loyal subscriber forever. You have to work to keep them - and that means proving your value. This is a very basic step, but it's the foundation you need to know about in order to allow your subscribers to have the best experience possible and want to tell others about you. You can choose between a highly professional HTML coded autoresponder series - similar to an offline, printed newsletter - or go with a plain text email autoresponder. But if it's not pertinent to your audience's discussion of topics, it's not necessary and plain text will be just fine. It can be anything you want - the items listed above are just one example. You may want to do the same thing every time. Or, you might want to focus on just one thing each time you email out, and your email will read like a letter to a friend. What you want to do is to be consistent so that when they open the email, they instantly know it's from you because they've learned your style. Make it as enjoyable and easy to read as possible, not cluttered and difficult to find information in. There is also an audience for every type of email frequency. You might be thinking, "Well I know for a fact you can't email offers every day and expect to keep your list happy," but that's simply not true. There's an audience who does want to see those daily offers. There's also an audience at the opposite end of the spectrum who will be appalled whenever you even hint at a recommendation. The one thing you want to keep in mind is that there's no way on Earth for you to please everyone. You need to find a pattern and frequency that works best for your business and then weed out your non audience. As long as you're providing value to your subscribers, you can be a little more bold and daring with your frequency. It's when you lack value and subscribers regard you as an interruption that you begin to have a problem. If you plan to email your list daily, as some people do, then you might also want to offer a less frequent "digest" version. 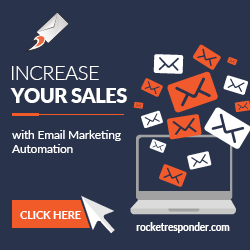 This can be a weekly digest that sends out all of the past week's emails in one autoresponder on a particular day. Another thing you want to keep in mind in terms of frequency and emailing to a list is making sure you keep your name in front of them. If you stop emailing for 2-3 weeks or longer and let your list go stale, they'll balk whenever you start emailing again, thinking you're sending unwanted emails. Be consistent with your mailings and don't just email once in awhile most of the time and then slam them with offers for 14 days straight during a promotion. Get them used to your style. Do it right and you'll have word of mouth that says, "John Doe is great! He emails me wonderful tips every day to motivate me and then every Friday I get a fantastic recommendation for the weekend." The quality of your emails is what's most important, and you've read here about value over and over again. So let's talk about that - how do you show value to your customers? This is a great way to show your list that you're available to them and open o doing a bit of hand holding, even if you don't offer one-on-one coaching packages. Share reviews of products. People have a lot of marketers bombarding products at them. If they've grown to trust you, you'll find that they often email you to see what your thoughts are on someone else's products. One of the things your list will deeply appreciate is your product reviews. But a product review and a promotion are two totally different things. Most marketers don't know how to review - they simply promote. What's worse is, they use swipe emails to promote to their list. So what happens when you grab a swipe email from an affiliate or joint venture page, email that to your list, and they open 5-10 other emails saying the exact same thing? They lose trust in you. It's okay to use swipe emails as a springboard piece of content so that you know what important points to hit on, but don't quote it verbatim or you'll be one of many your subscribers mass unsubscribe from that day. Share paid resources as well as free ones. There are free and paid tools you'll want to recommend to your list. Do a little of each, for everyone on your income spectrum. Ask them what their challenges are and then be prepared when the emails come in to answer each one individually, one-by-one. Obviously, the more your list grows, the harder this becomes, but you can also stay on top of emails and only focus on going to great lengths to answer questions for which you don't have products yet. Believe it or not, many subscribers will either be too shy or not want to intrude on your personal space - so they won't email you any questions. They'll simply suffer in silence. When you become a marketer who has enough heart to help lift others up another level, word gets around and you'll have more people joining your list, buying your products and recommending you to their friends. One thing your subscribers will love and tell others about is if you're transparent with them. They love seeing your struggles in addition to your successes. Whether it's with dieting, earning money, or dating - they want to feel a connection to you and that means letting yourself be seen as human. So don't think that just because you're leading a niche, you can't make mistakes and share those trials and tribulations, because you can! In fact, it will endear you to your list even more and you'll become known as one of the most genuine marketer that your niche follows.